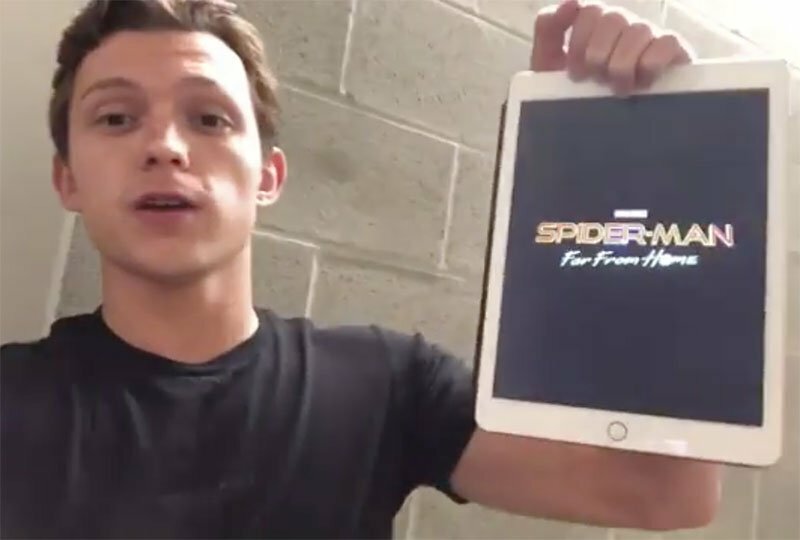 Spider-Man actor Tom Holland has taken to his Instagram to “accidentally” reveal the Spider-Man: Homecoming sequel title, which is visibly seen to be Spider-Man: Far From Home. This title reflects what Marvel Studios president Kevin Feige previously confirmed about the 2019 sequel taking Peter Parker out of New York for a European adventure in London that will reflect the global aftermath of Avengers: Infinity War and Avengers 4. Jake Gyllenhaal (Nightcrawler, Okja) is set to play supervillain Mysterio in the sequel, with Michael Keaton reprising his role as Adrian Toomes/The Vulture as well, which could potentially mean we’re finally getting The Sinister Six onscreen. Marvel is currently auditioning actresses in their 20’s for a lead female role. Mac Gargan, a.k.a. The Scorpion, was teased in the credits scene of Homecoming, where he was played by Michael Mando. Spider-Man: Homecoming writers Chris McKenna and Erik Sommers will write the sequel, and Jon Watts will return as director on the Sony and Marvel film. While we’re still waiting on an official title reveal from the studio, for now Spider-Man: Far From Home is scheduled for a July 5, 2019 release, and Tom Holland recently confirmed a third film is also in the works. The follow-up will feature Tom Holland’s Peter Parker in his Junior year at Midtown School of Science and Technology following the events of 2018’s Avengers: Infinity War and its summer 2019 sequel, which will also feature Holland as Spider-Man. What do you think of the Spider-Man: Homecoming sequel title? What other significance do you think the subtitle Far From Home has for the character? Let us know in the comments below!